2014 was both a busy and successful year for the Lakota People’s Law Project (LPLP). LPLP is dedicated to exposing the injustices faced by the Lakota tribes of South Dakota. The following will include a list of the most significant accomplishments our organization achieved in the past year. South Dakota has continually and blatantly violated the Indian Child Welfare Act for years. The Indian Child Welfare Act, or ICWA, states that the government must attempt to keep Indian children with their closest possible relatives or within their tribe. The Department of Social Services in South Dakota, however, has been illegally taking Indian children from their homes and placing them in the care of non-Native adoptive settings, where they are raised in circumstances that ultimately alienate them from their language, culture and heritage. In 2014, LPLP identified a critical solution to stop this systemic problem — have the tribes create their own federally funded Child and Family Service Agencies. The goal is to have the federal government stop funneling money through South Dakota DSS and instead provide money directly to the tribes, which are better positioned to offer the specific care and support unique to Indian children in America. LPLP’s most profound accomplishment of 2014 was playing a major role in successfully obtaining federal planning grants for the Oglala Sioux Tribe and the Standing Rock Sioux Tribe. The grants mean that two of the largest tribes in South Dakota Indian County are approaching greater sovereignty when it comes to making decisions critical to its families, its children and the future of their tribes. LPLP recruited the Washington-based grant consulting service, A Positive Tomorrow, which was instrumental in writing grants for seven of the nine Lakota tribes in South Dakota. LPLP was also successful in recruiting A Positive Tomorrow to become the organization in charge of administering the grants and ensuring the Lakota tribes will create Child and Family Service Agencies by the deadline of December 2016. While LPLP was disappointed that not all seven of the tribes that applied for the grants were awarded, our organization flew out to Washington D.C. to describe the nature of the ongoing family crises occurring on the Indian reservations of South Dakota. 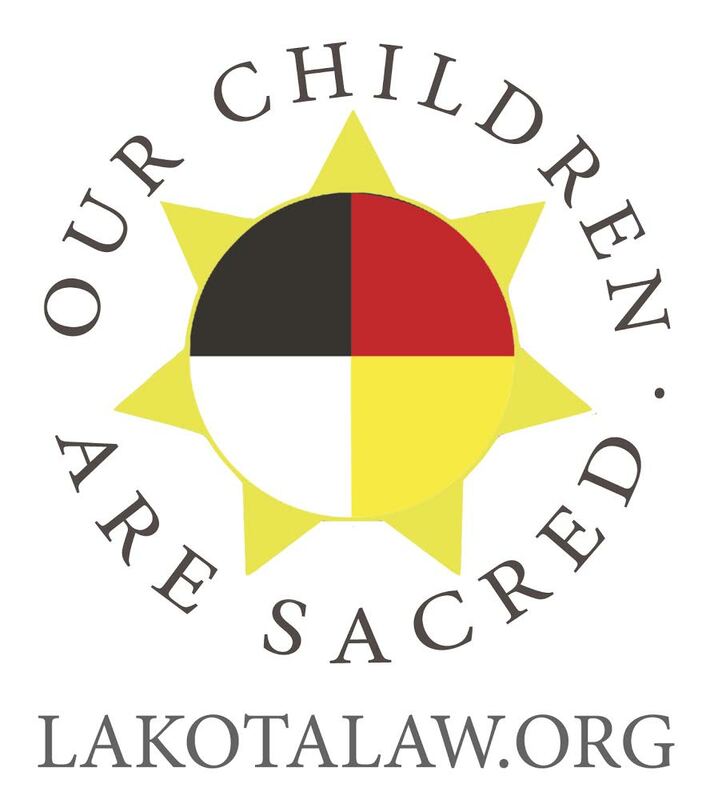 In the past year, LPLP has advanced its extensive investigation on South Dakota’s treatment of Lakota children and provided information to the Civil Rights Division of the Department of Justice, which proved that South Dakota’s Department of Social Services was in direct violation of ICWA. As a result of our organization’s efforts, U.S. Attorney General Eric Holder issued a public statement on December 3, 2014, announcing that the Department of Justice would now play a role in enforcing the federal mandates of ICWA on non-compliant states. Following Holder’s landmark speech, LPLP became the first organization to meet with high ranking federal officials. On December 4, 2014, LPLP helped convene a meeting between the Department of Interior’s Assistant Secretary of Indian Affairs Kevin Washburn and the Department of Justice Deputy Assistant Attorney General Eve Hill. Washburn agreed to seek funding within the Department of the Interior to provide funds for planning grants to five of the seven 2014 Lakota tribes of South Dakota that applied. LPLP also convened another meeting with the Department of Health and Human Services. Associate Commissioner Joo Yeun Chang agreed that her department would attend meetings with the Department of Justice and the Department of the Interior to find a solution to obtain supplemental financial support for the five Applicant Lakota tribes—Flandreau, Crow Creek, Lower Brule, Cheyenne River, and Yankton—who did not receive grants in 2014. LPLP remains optimistic that all seven of the tribes that applied for federal funding in 2014 will be award the dollars necessary to break away from a state system that has worked against their interests for decades. Furthermore, LPLP remained committed to disseminating information regarding the challenges social, economic and political faced by all Native Americans in the United States. With a robust following on social media, this newly developed blog and countless articles produced by media outlets inside South Dakota and nationally, we continue to raise the profile of this extremely important issue. The United States of America can only call itself a great nation if it truly strives to honor its heritage that extends back into the past far beyond when people of European descent first touched upon its shores.